Today you can see at our LIVESTREAM the new DIOR MEN pre-fall 2019 collection. We are pleased to announce its first men’s show for a Pre-Fall collection. It is an unprecedented event in the men fashion world. 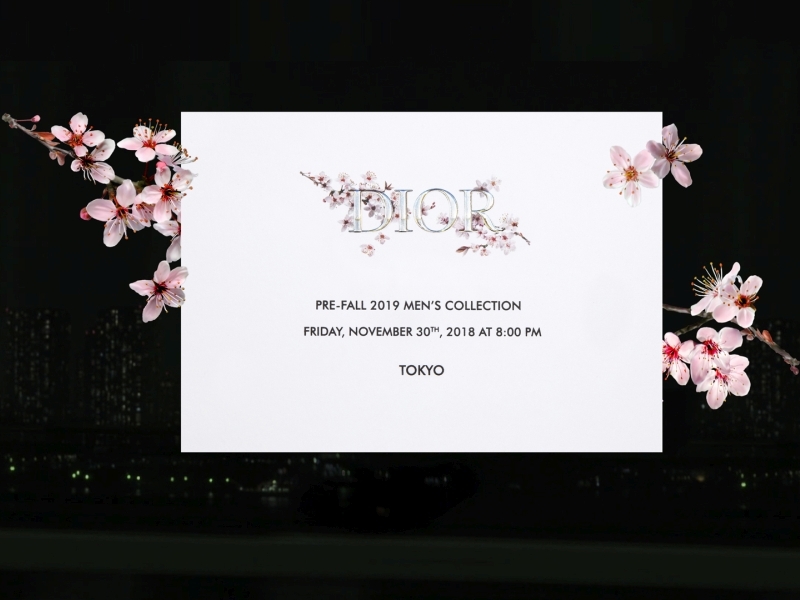 In tribute to the bonds that have long united the House with Japan, the Dior Pre-Fall 2019 men’s show will take place in Tokyo on November 30th. The other emblematic address of the Maison, the House of Dior Ginza, will simultaneously present these new creations. The international launch will take place December 1st.